There are wine lovers who aren’t satisfied of merely driving into a wine bar or going somewhere else to take a drink. 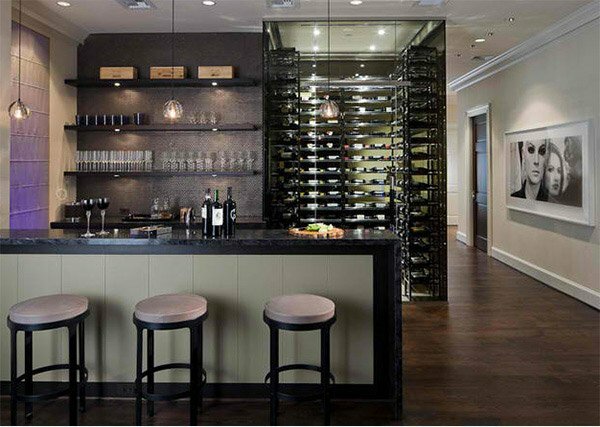 Instead, they have their own home bars and wine cellars. Wine cellars could keep wines for a long time. Like what they said, the older the wine, the more delicious it becomes. 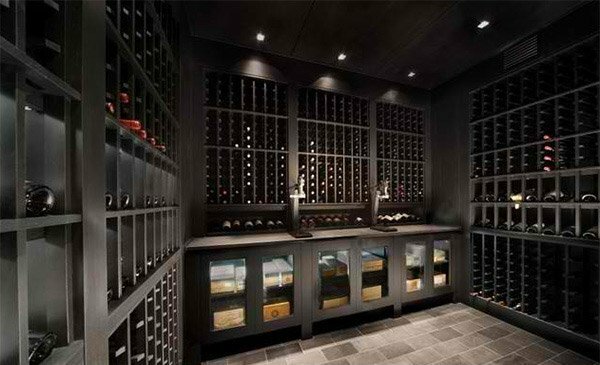 That is why, wine lovers prefer to have their own wine cellars. Well, we mostly remember wine cellars from the old times but there are modern wine cellars too. You can see that in the round up that we have today. 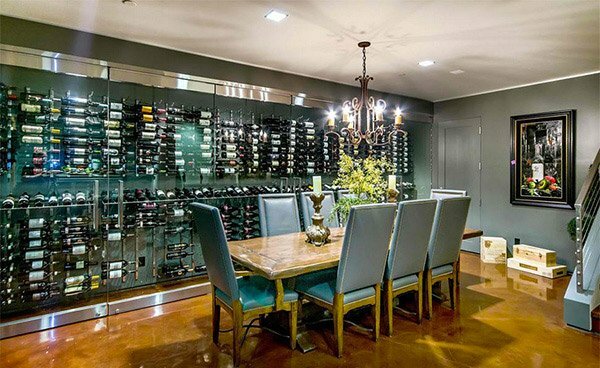 You will be impressed to see how creative and beautiful these wine cellars are and how this area could affect the entire look of the house. So, take that glass of wine while you browse through this page! 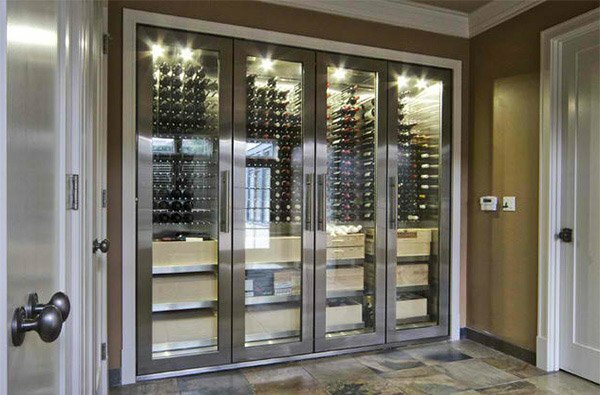 This wine cellar can be accessed through rolling glass doors. It has stainless wine racks, an impressive stemware chandelier and cork flooring giving this spot a unique lovely look. It is a fact that light is a major enemy to wine, and over time the amount of light entering that space will ultimately degrade the drinkability of the wines stored. 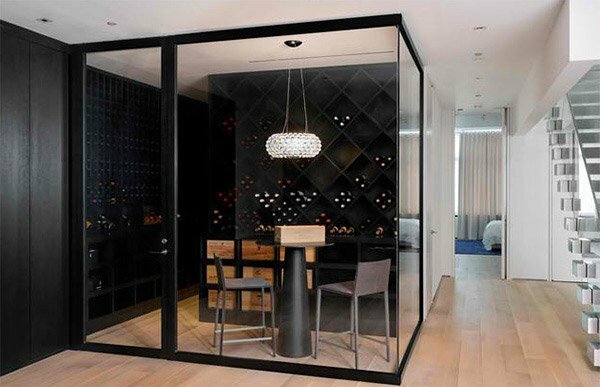 Hence, a UV filtered glass should be used for a modern wine cellar like this. The interior of this house is indeed beautiful in white but the addition of wooden walls and this glass cellar added a different twist to it. 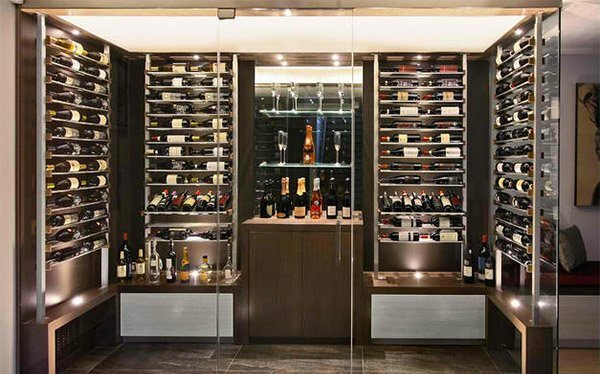 A wine cellar cabinet fabricated in 304 stainless steel includes a led lighting, high temperature alarm, fob locking system, custom wine cellar doors, and a wine wall series racking from the designer that could carry 400 bottles of wine. 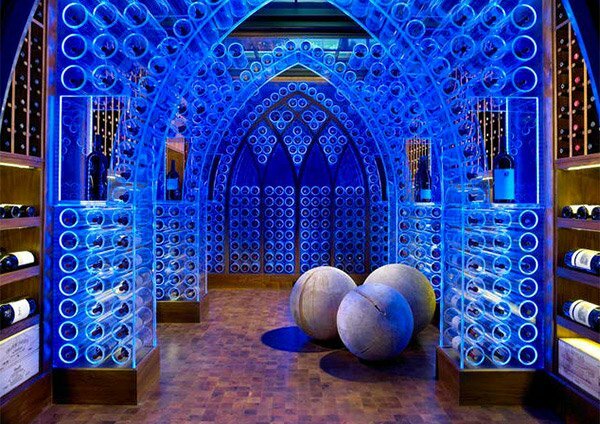 Isn’t this a beautiful wine cellar? The designer said that the lights turn off when not entertaining and the see through glass ceilings have roller shades that black out the room. Normally the room is dark 55 degrees and humidified. A 12mm tempered glass was used in this cellar with wooden racks. 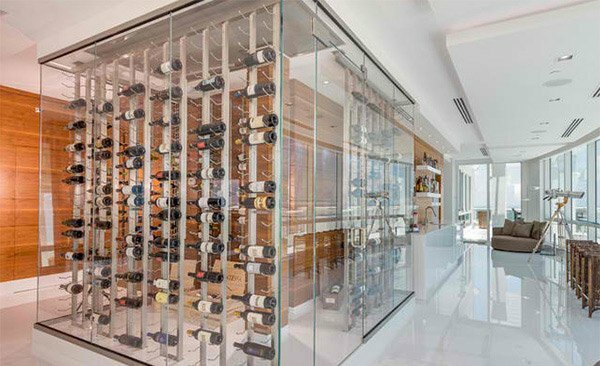 A 1966’s house in Boucherville (Quebec) was completely remodeled into modern home which includes this wine cellar. A wine cellar in glass enclosure with horizontal display of bottles. 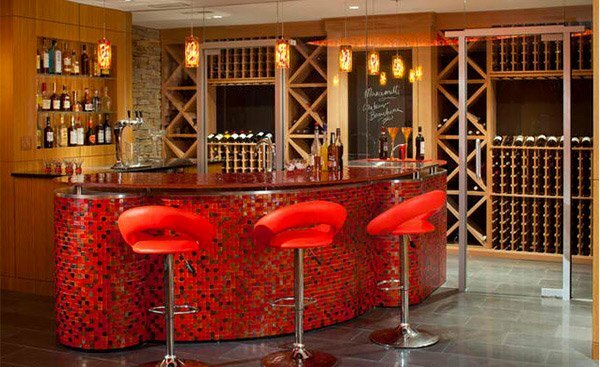 The mosaic tile on the bar is from Oceanside Glasstile – “Tessera – Disco Inferno” but aside from that, the wine cellar in it is one feature that will urge you to take a second look at it. 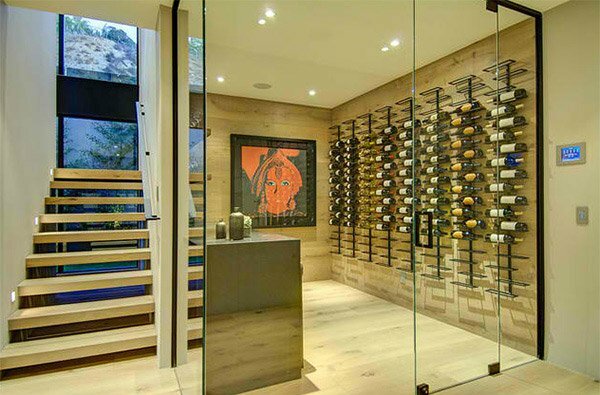 A sleek walk-in wine room that sure is every wine lover’s dream! 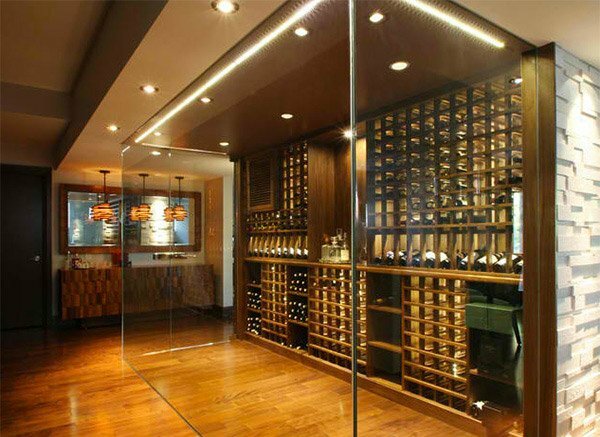 This wine cellar in gray is no doubt beautiful especially with its lighting and flooring. Aside from placing a wine cellar near the bar, it can also look best as a backdrop for a dining area like this one. A modern wine setup with a wine cellar at its back. 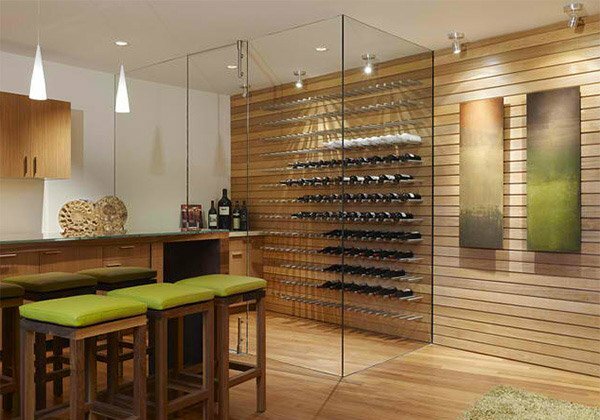 A cocktail table would look good inside a walk-in wine cellar like this one with black wine racks. That pendant light made all the difference! 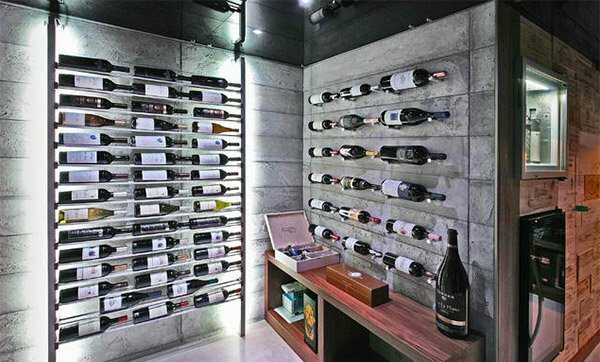 We are sure that you will agree with us that the wall and the lighting in this wine cellar sums up into a grand spot of sophistication. 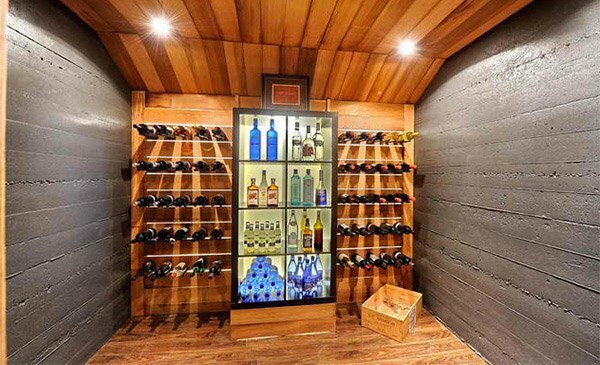 It is true that one would spend a lot for wines and a wine cellar also requires some money in its construction and installation especially that there are so many considerations that one needs to take note to make sure that the wines will not perish and will remain drinkable. We hope you loved this list we have for you today and be back for more here on Home Design Lover! You can also look at some media rooms with home bars if you are interested to have this in your own home.